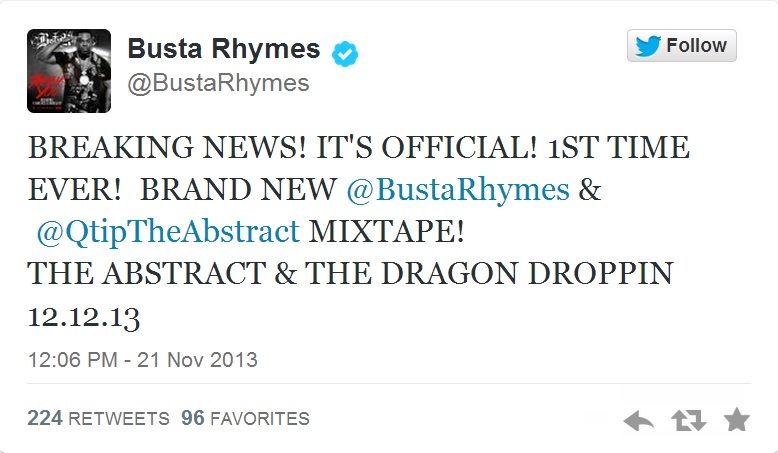 Busta Rhymes took to Twitter deliver the news that he will be linking up with Q-Tip for a new collaborative mixtape titled, The Abstract & The Dragon. The project is intended to be a precursor to Rhymes’ new Extinction Level Event 2 LP which is set to hit shelves next year. Fans of the new Cash Money signee can expect The Abstract & The Dragon to drop on December 12. 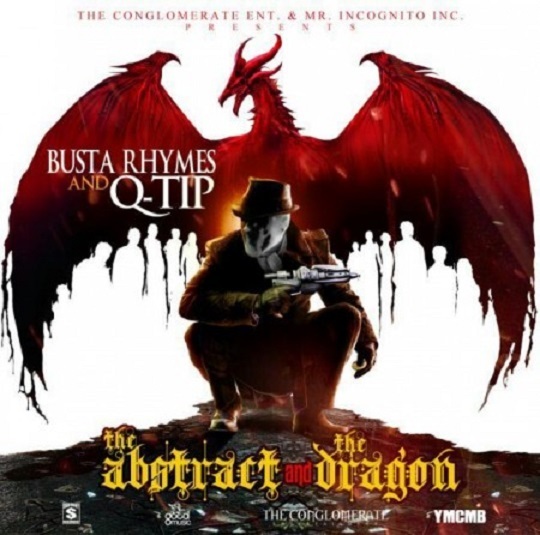 This entry was posted in News and tagged announcement, artwork, busta rhymes, Cash Money, hip hop, mixtape, q tip, rap, the abstract & the dragon, YMCMB. Bookmark the permalink.